Amazon is an incredible launch mechanism for new eCommerce retailers and established brands alike, but sometimes we can fall into the trap of thinking it’s the only solution for online retail. On the last installment of Amazing FBA Jason Miles and I discussed this phenomenon. It’s called the Einstellung Effect. On today’s episode of the show, I sit down again with Jason to discuss a more nuts and bolts approach to building a successful brand on Shopify and beyond. We’ll talk about all things eCommerce: growing paid and organic traffic, social media marketing, contests, conversion rate, and much, much more. This interview has been one of the most inspiring I’ve had. The nine ways to get internet traffic and how to build campaign systems and strategies to tackle each one (3:00). 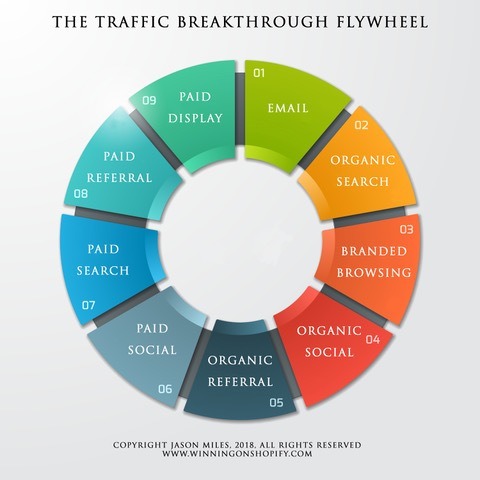 Jim Collins concept of the Flywheel and how it applies to contests and online marketing (8:50). How Pat Myer got 15,000 email subscribers for $200 – Case study on winningonshopify.com (13:18). Video marketing, influencer marketing, and message to market match, all through contests (16:35). Shopify vs. Amazon regarding ease of use and setup (21:33). Check out AmazingFBA.com/FB to submit a question on the AmazingFBA Facebook Group. Conversion Rate: How to convince people to buy products in an eCommerce setting (24:42). Using Amazon Dash Buttons to convert recurring customers (29.04). The strategies that 7-figure Shopify sellers all have in common (30:33). How the dream of making $1000 a day online sent Jason for a decade-long journey towards eCommerce success (38:25). Check out winningonshopify.com for a deeper dive into launching and growing a brand you can be proud of.